Canon has released a major upgrade to its imageRunner ADVANCE fleet. This third-generation combines the latest technology from the previous version, improved print fleet control, seamless hardware and software integration, and reinforced security. The upgraded devices offer integrated solutions, including a cloud scanning and print management solution (uniFLOW Online Express), as well as the Universal Login Manager authentication solution. uniFLOW Online Express and uniFLOW Online will also be added to Canon's software portfolio for compatibel machines, including the imageRUNNER C3000 and i-SENSYS products launched in 2017, as well as the new black and white i-SENSYS products that will be launched this year. 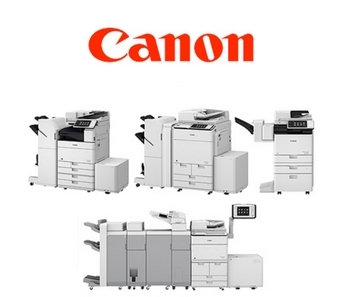 Canon has won eight awards from testing in our own, independendent DataMaster Lab, including "Best Productivity in duplex mode" (fastest double-sided printing) by the iR Advance C5535i, valid for the iR Advance C5535II -and "Best Scan Filesize" for the iR Advance C3525i, valid for the iR Advance C3525II. The new imageRUNNER ADVANCE series is already available and uniFLOW Online Express will be available from April 2018. All the new machines are already available for comparison on DataMaster Online.